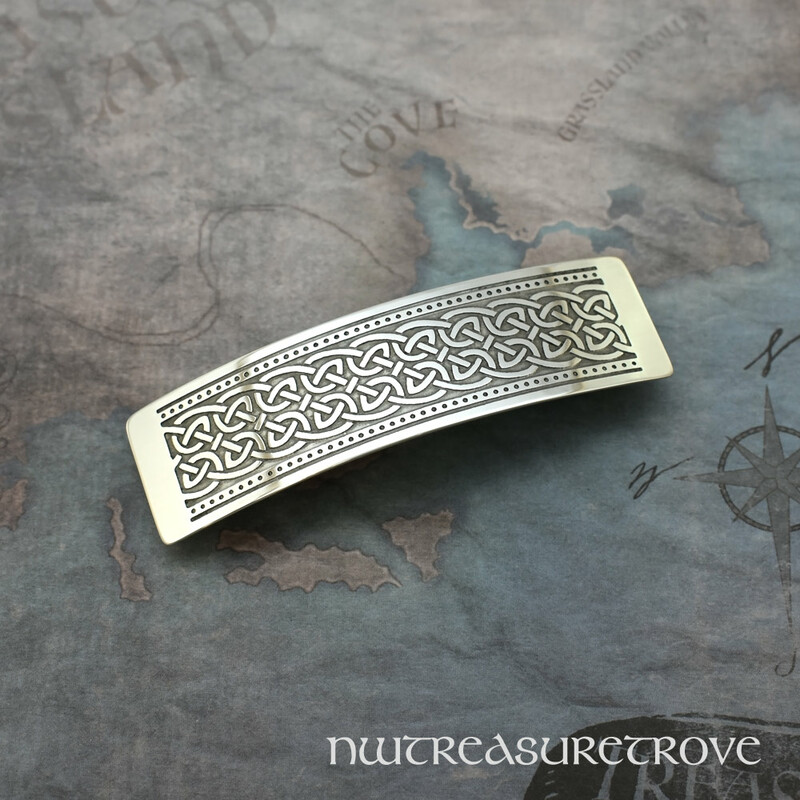 This gorgeous hair clip depicts a Celtic knot design etched into the metal and will be sure to draw many admiring comments. It's difficult to find really artistic hair accessories at reasonable prices! We use only the finest authentic Genuine French made hair clip backs on all our hair accessories. 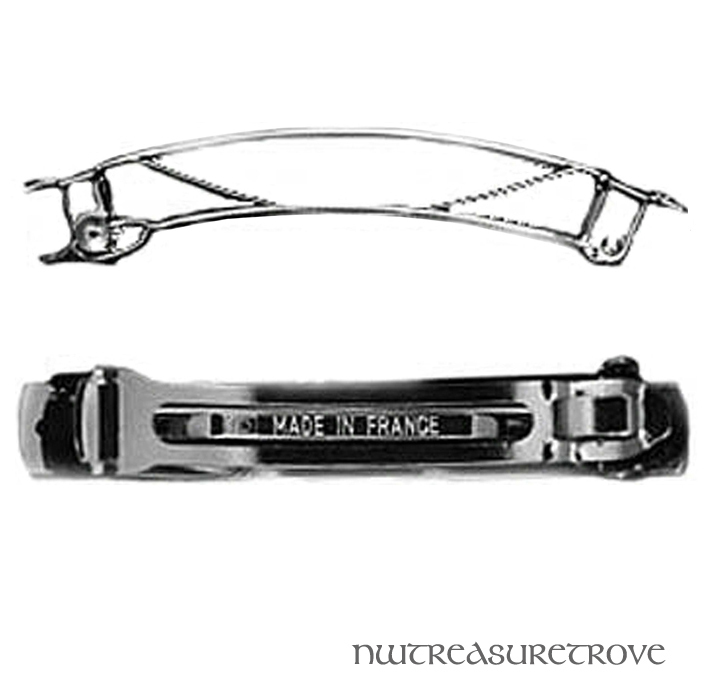 Barrette backs are approximately 3-1/4" (80mm) long.